Winner of the prestigious Yehudi Menuhin International Violin Competition in 2010, violinist Angelo Xiang Yu's astonishing technique, exquisite tone, and exceptional musical maturity have won him consistent critical acclaim and enthusiastic audience response worldwide. 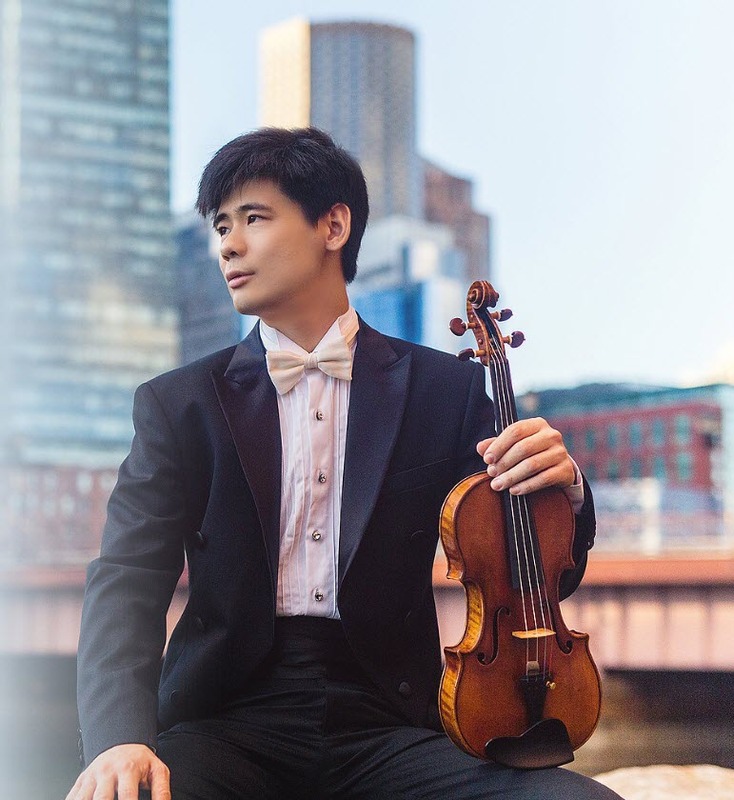 In addition to winning First Prize as well as the Bach and Audience Prizes at the Menuhin Competition, Mr. Yu was awarded the 2nd prize at the Lipinski Wieniawski International Violin Competition, and the 3rd prize at the Michael Hill International Violin Competition. In March 2017, he was chosen to join the roster of the prestigious Chamber Music Society of Lincoln Center’s CMS Two, beginning with the 18/19 season. In North America, Angelo Xiang Yu’s recent and upcoming orchestral engagements include appearances with the orchestras in Pittsburgh, Toronto, Vancouver and Houston, as well as with the North Carolina, Alabama, Charlotte, Rhode Island, Puerto Rico, Grand Rapids, Toledo, Modesto, Tucson, Elgin, Binghamton and Lake Forest symphonies. In the summer of 2016, he participated for the second season in a row in Portland, Oregon’s Chamber Music Northwest festival and made his debut at the Green Music Center Chamberfest in Sonoma, California. Internationally, he has appeared with the Shanghai Symphony Orchestra, Auckland Philharmonia, Munich Chamber Orchestra and Oslo Philharmonic Orchestra. Highlights of his 17/18 season include debuts with the Colorado and Pasadena symphonies, the Cincinnati Chamber Orchestra, the Grant Park Music Festival in downtown Chicago and his recital debut at the Ravinia Festival; re-engagements with the North Carolina, Puerto Rico and Lake Forest symphonies; a return to Jordan Hall in Boston; and a debut appearance with the New Zealand Symphony with performances throughout the country. An active recitalist and chamber musician, Mr. Yu has performed in a number of world renowned venues such as Konzerthaus Berlin, Louvre Auditorium in Paris, National Centre for the Performing Arts in Beijing, Victoria Theater in Singapore, Shanghai Concert Hall, Oslo Opera House, Auckland Town Hall, Bennett Gordon Hall in Chicago, Jordan Hall and Symphony Hall in Boston. He has also appeared in several of the world’s leading summer music festivals including the Verbier Festival, Ravinia Festival, Bergen Festival and the Perlman Music Program. During the 12/13 season, Mr. Yu was invited to tour with Miriam Fried and chamber musicians from the Ravinia Festival’s Steans Institute and performed concerts in New York, Chicago, Florida and throughout New England. Born in Inner Mongolia China, Angelo Xiang Yu moved to Shanghai at the age of 11 and received his early training from violinist Qing Zheng at the Shanghai Conservatory. Mr. Yu earned his Bachelor’s and Master's degree at the New England Conservatory of Music in Boston, where he was the recipient of the Irene M. Stare Presidential Scholarship in Violin and was a student of Donald Weilerstein, Miriam Fried, Kim Kashkashian, and served as the teaching assistant of Donald Weilerstein. He was the only instrumentalist invited to be a candidate for NEC’s most prestigious Artist Diploma, which he was awarded in May 2014. Mr. Yu currently resides in Boston and performs on a 1729 Stradivarius violin generously on loan from an anonymous donor. Hailed “piano prodigy” by The Seattle Time and acclaimed for an “immense and electric (performance)…exhibits more winning confidence than most of his peers” by The Boston Music Intelligence, Peter Fang is a pianist who relishes embracing the major masterpieces of the repertoire. His recitals have typically included such large works as Chopin 24 Études, Debussy 12 Études, Liszt Transcendental Études, and the complete piano sonatas of Brahms. Born in Taipei, Taiwan, Mr. Fang’s early endeavors when he began his piano study with his father at age 4 included smaller works such as Bach’s Minuet in G, which he loved, and Isidor Philipp’s Piano Exercises and Études, which he did not. Mr. Fang’s father, who is a private music teacher, also taught him violin, viola, and composition. Subsequently, his fourteen years of serious violin education gave him a special affinity for working with others. As a passionate chamber musician, Mr. Fang has collaborated and performed with violinists Nicholas Kitchen, Lev Klychkov, Angelo Yu, Cellist Sam Ou, and among others. As a first prize winner at The 2012 Steinway Piano Competition and a recipient of Chi Mei Art Award, Mr. Fang has performed in many prestigious concert halls around the world. These include Boston Symphony Hall, Taipei National Concert Hall, KHS Hall, National Taichung Theater, Monteverdi Conservatory’s A. 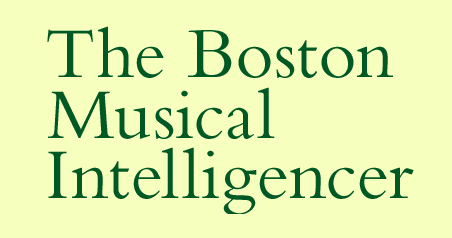 B. Michelangeli Hall, New England Conservatory’s Jordan Hall, Juilliard’s Paul Hall, Seattle Benaroya Hall, Salzburger Barockmuseum, Keiter Center at The Walnut Hill School for the Arts, and Indiana Debartolo Performing Center. In 2014, Mr. Fang substituted at the last minute for the 2011 Warsaw International Chopin Competition winner Sa Chen, playing with violinist Feng Ning at NEC’s Jordan Hall, and the performance was hailed “highly impressive and phenomenal” by The World Journal. Moreover, Mr. Fang has frequently performed works by renown living composers. His recent activities include a premier performance of Premonitions by Kenji Bunch in 2015; a solo recording of Light and Darkness by Victor Kong in 2016; the piano quintet Enchanted Garden by Behzad Ranjbaran at Juilliard’s Morse Hall in 2017; the piano trio Differences and Repetitions by Dai Bo at Juilliard’s Peter Jay Sharp Theater in 2018. 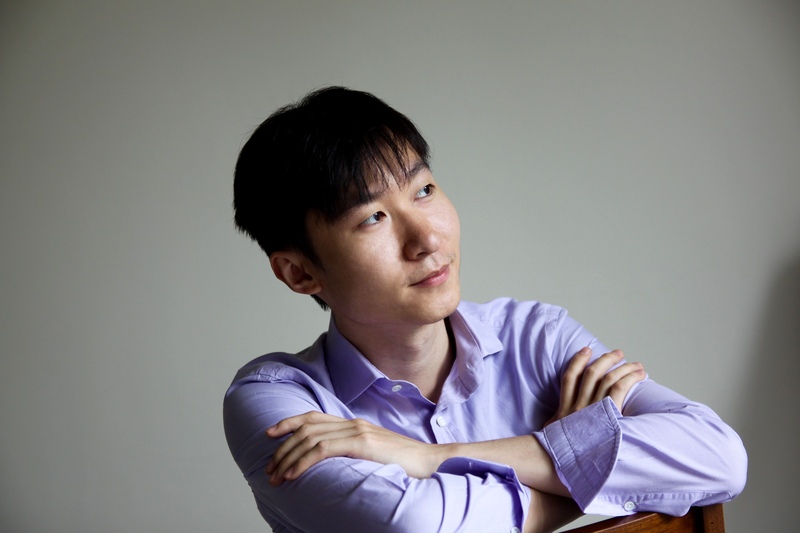 Mr. Fang is also the co-founder of the Edelweiss Piano Trio with violinist Yun-Jae Choi and cellist Ye-Young Yoo, giving many chamber concerts in the Greater Boston area. Mr. Fang received his Bachelor of Music degree from the New England Conservatory, where he studied with professors Alexander Korsantia, Hung-Kuan Chen, and Meng-Chieh Liu, and he received his Master of Music degree from The Juilliard School, where he continued his piano study with Hung-Kuan Chen.